Rhamnus jujuba L., Ziziphus jujuba (L.) Gaertn. 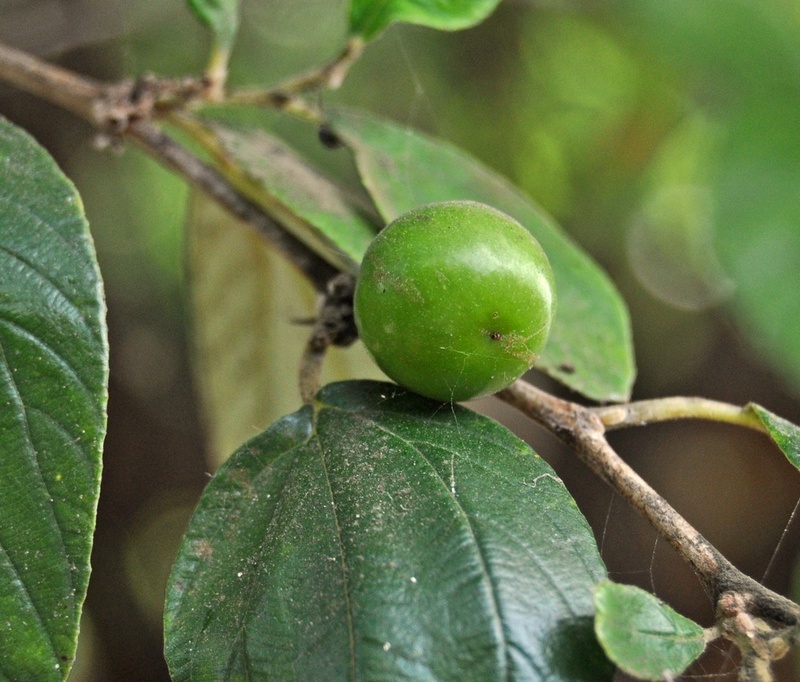 Indian jujube (Ziziphus mauritiana Lam.) is a shrub or small tree of the dry tropical and subtropical regions that is browsed by livestock. Indian jujube is a shrub or small thorny tree that can grow to a height of 3-15 m. Deciduous or almost evergreen, Indian jujube has an erect or spreading habit (US Forest Service, 2013; Ecocrop, 2013; Orwa et al., 2009). It has a deep taproot (Morton, 1987). The trunk is around 40 cm in diameter, covered with a dark grey or dull black, irregularly fissured bark (Orwa et al., 2009). The branches are numerous and drooping. The twigs are tomentose. The spines are solitary or borne in pairs at the base of the leaves, 5 to 7 mm long (Latiff, 1991). In cultivated Indian jujube, the spines may be absent (Azam-Ali et al., 2006). 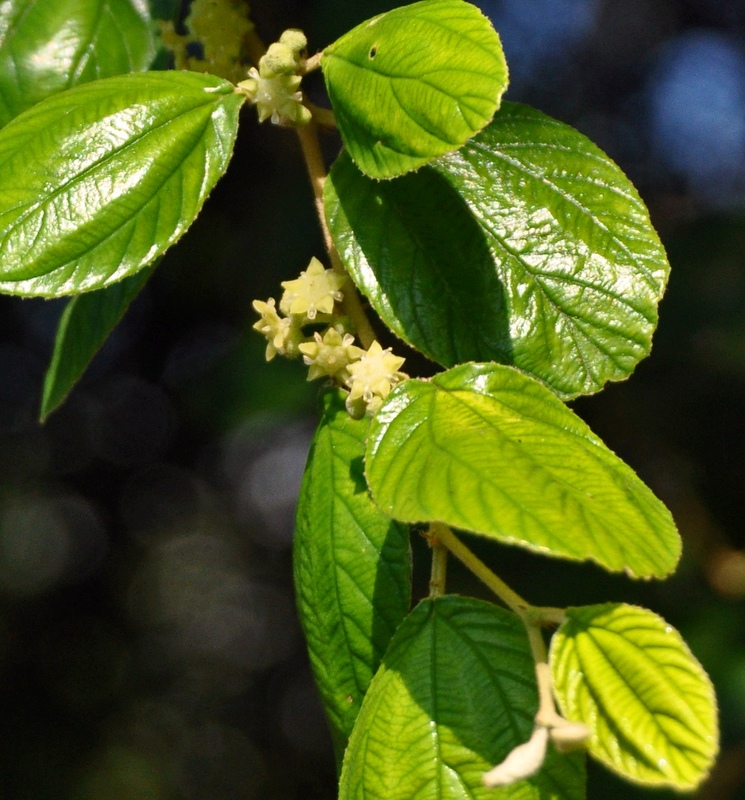 The leaves are simple, alternate, ovate, and 2-9 cm long with 3 conspicuous longitudinal veins. The upper surface of the leaves is dark glossy green and the lower one is densely hairy (Latiff, 1991; Morton, 1987). This dense silky underside helps distinguish Indian jujube from Chinese jujube (Ziziphus jujuba Mill.) (Morton, 1987). The flowers are pentamerous, greenish yellow in colour, hairy outside and about 5 mm wide. They are borne on 1-2 cm long axillary cymes (US Forest Service, 2013; Latiff, 1991). The fruit is an ovoid drupe, 6 cm x 4 cm in size. The fruit skin may be smooth or rough, glossy, yellowish to reddish or blackish. The flesh is white, juicy, slightly acid to sweet, turning mealy when fully ripe (Latiff, 1991). The stone is single, central, hard, oval or oblate, with a rough surface. It contains 2 elliptic, brown seeds, 6 mm long (Morton, 1987). Indian jujube is a multi-purpose tree mainly grown for its fruits. It starts bearing fruits 6-8 years after planting, and yield increases until the tree is 15-20 years old (Ecocrop, 2013). The fruit is edible and can be eaten fresh, dried like dates, candyied, salted or pickled (Ecocrop, 2013; Latiff, 1991). It can be processed into flour meal, paste, juice, syrup or an alcoholic beverage (Latiff, 1991). It is a good source of carotene, vitamins A and C, and fatty oils (Orwa et al., 2009). Young leaves are edible and are cooked as a vegetable in Indonesia. Fruits and bark are used to make dye and medicinal preparations (Ecocrop, 2013; Orwa et al., 2009). Indian jujube wood is reddish, fine-textured, hard and durable. It can be used in rural house construction, posts and tool manufacturing. It makes excellent firewood. The Indian jujube tree hosts lac insects, and is also fodder for the tasar silkworm that makes high-prized silk in India (Orwa et al., 2009). It is a minor source of pollen for bees (Orwa et al., 2009). A potential agroforestry species, this thorny tree can grown to provide windbreaks and living fences. It is browsed by livestock and its leaves are nutritious fodder for sheep and goats (Ecocrop, 2013; Orwa et al., 2009; Nair, 1993). Indian jujube originated from Central Asia and then spread to North Africa and India through Afghanistan, South China, Malaysia and Australia. It was in use around 1000 BCE and is now widely naturalized in the tropics (Africa, Central and South America, and the West Indies), in the Pacific Islands and in the Mediterranean region (Orwa et al., 2009; Morton, 1987). It is only commercially important in India and China (Orwa et al., 2009). In South-East Asia, it is mostly found in Thailand (Latiff, 1991). It is becoming increasingly important for its wide adaptation, easy management, early fruit bearing, value as a food and feed, and multiple uses (Liu et al., 2014). Chinese jujube and Indian jujube are widely cultivated with a total growing area of over 2 million hectares with an annual production of over 6 million t of fruit. 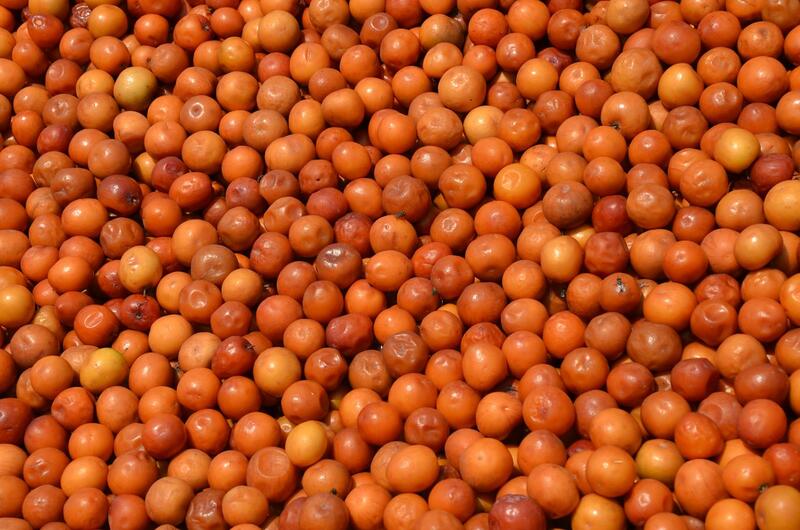 Approximately 30 million farmers rely on jujube production for their livelihood (Liu et al., 2014). Indian jujube can be grown in semi-arid and arid regions as it thrives under very dry conditions. In the Sahelian zone, Indian jujube is one of the most persistent trees, like Acacia raddiana and Balanites aegyptiaca, remaining available for browsing from July to March (Sanon et al., 2012). Indian jujube is found from sea level up to an altitude of 1600 m in India, though it is mostly cultivated under 1000 m. It grows where annual rainfall ranges from 150 mm to 4000 mm. Fruits need hot, sunny and dry conditions but moisture is necessary to support growth and flowering. During hot summers, with temperatures up to 49-50°C, the tree may shed its leaves and stop growing. New shoots can grow with onset of the rains (Azam-Ali et al., 2006). 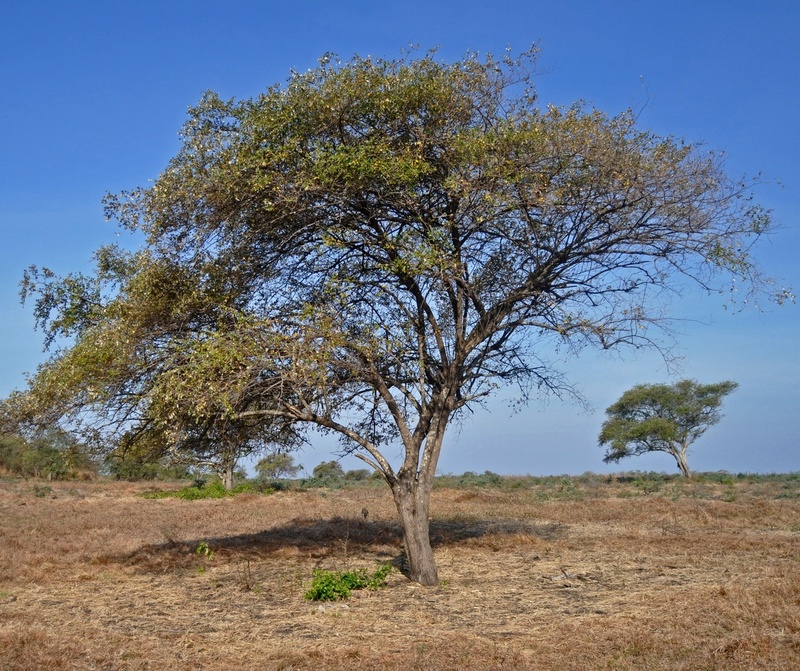 In Burkina Faso, Indian jujube remains green later in the season than acacia species (Sanon et al., 2012). Indian jujube does well on a wide range of soils but prefers well-drained, deep sandy, neutral or even slightly acidic or alkaline loams. It can withstand some salinity (Latiff, 1991). Indian jujube can be propagated from seeds, or vegetatively, through in situ grafting or budding on to rootstocks. A spacing of 5-6 m or 8-9 m is often used (Latiff, 1991). The trees begins to fruit within 2 years but do not yield sizeable crop before the fourth year (Latiff, 1991). Once the fruits have been harvested, the trees must be pruned so that new fruits are produced on the next year shoots. In India, the best cultivars yielded 77 kg fruit/year but in Mali only 2.5 kg fruit/year were reached (Morton, 1987; Le Houérou, 1980). The amount of fodder (including leaves and fruits) from Indian jujube available to livestock in Sahelian sandy pastures was only 0.5 kg/ha and 14.8 kg/ha in low lying pastures (Sanon et al., 2005). Plants of the Ziziphus genus can withstand extreme stress caused by drought, salinity, and in some cases waterlogging. Cultivated jujubes are thus ideal for planting in sites unfit for other crops, such as marginal or degraded areas, provided that the right genotypes are selected for alkali or sodic soils (Hebbara et al., 2002; Dagar et al., 2001). Indian jujube can be used for coastal dune sand fixation (Orwa et al., 2009; Azam-Ali et al., 2006). Indian jujube grafted on Ziziphus nummularia can be grown on saline soils (Ecocrop, 2013). In the Sahelian climate, Indian jujube provides permanent cover to the soil, with the abundant and deep root system helping to maintain soil structure (Arndt et al., 2001; Depommier, 1988). Indian jujube is useful for shade, as windbreaks and as living fences (Orwa et al., 2009). In Australia, Indian jujube may become a weed as it is spread by cattle. Avoiding moving cattle after grazing it to weed-free areas is a way of controlling the spread of Indian jujube (Grice, 1998). Indian jujube leaves are rich in protein and are, therefore, a valuable source of protein for animal feeding (Arndt et al., 2001; Ngwa et al., 2000). Ziziphus species have relatively high mineral contents, which may alleviate deficiencies during periods of scarcity (Haenlein et al., 2007). However, the nutritive value of Indian jujube forage ranked poorly in comparison with other forage tree foliage such as Morus alba, Sesbania sesban, Leucaena leucocephala or Streblus asper (Khan et al., 2008). 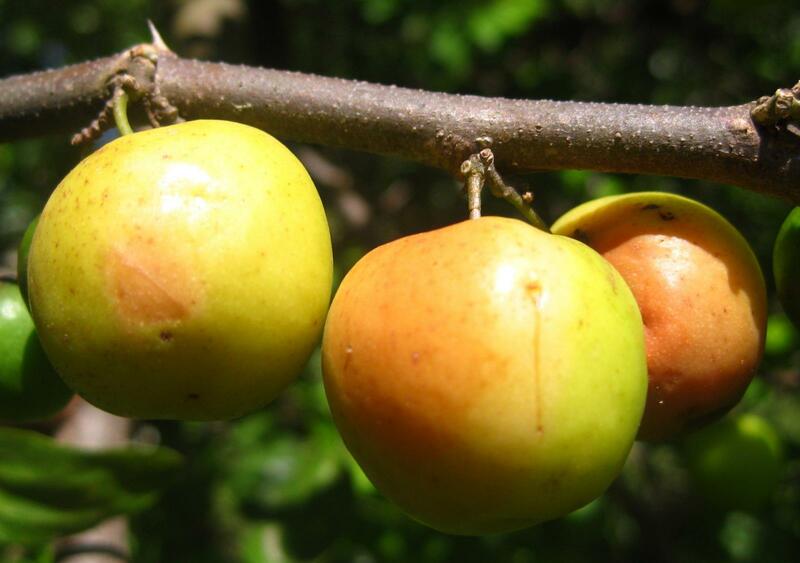 Indian jujube leaves and fruits contain saponins: in Ethiopia, the fruits are used to stupefy fish and there is probably sufficient saponin for this purpose (Morton, 1987). However, no problem related with these saponins in animal feeding was observed (2013). The leaves and twigs of most Ziziphus species, including Ziziphus mauritiana, can be used as nutritious fodder for livestock. Leaves of Indian jujube are readily eaten by camels, sheep, goats and cattle (Azam-Ali et al., 2006; Tewatia et al., 2002). In arid areas of Pakistan, Indian jujube is among the preferred plant species by all classes of ruminants (cattle, sheep, goats, camels), and also donkeys, particularly during winter and early spring (Khan et al., 2012a). In the Sahelian rangeland of Cameroon, dietary preferences were higher for leaves of Ziziphus species, while pods and blossoms of other species were generally preferred (Ngwa et al., 2000). Preference indices for Indian jujube fruits increase after the rainy season when fruit production is higher. Recent assessment of the use of browse species by cattle and small ruminants in Burkina Faso showed that Indian jujube, together with Balanites aegyptiaca and Acacia spp. were among the preferred species by sheep and goats (Zampaligré et al., 2013). This was not the case for ruminants (Hansen et al., 2008). In Burkina Faso, a 4-year study showed that tree fodder was a very minor part of the diet selected by herbivores, even when there was little grass available in the dry season. This was especially true for cattle (Piot et al., 1980). This was later confirmed by an assessment of the feeding behaviour of free-ranging cattle, who did not ingest more than 25% of browse forage, among which Indian jujube represented less than 5% (Hansen et al., 2008). The use of Indian jujube leaves was assessed in sheep diets as a replacement for cottonseed cake. It was shown that only relatively low levels of about 10 to 20% (DM basis) of Indian jujube could be included in the diets of growing sheep without impairing animal performance (Abdu et al., 2012). In Nigeria, increasing the access time to Indian jujube (from 60 to 120 minutes per day), for Oudah rams on natural pasture, increased both total DM intake (33.2 to 37.9 g/kg LW) and digestible OM intake (36.8 to 40.9 g/kg LW0.75), but slightly decreased digestibility (53 to 52%). However, Indian jujube appeared to have potential to increase sheep production in low-input crop/livestock systems (Sangaré et al., 2003), although sheep had a limited capacity to benefit from Indian jujube leaves as a protein supplement. Nitrogen digestibility was significantly lower with Indian jujube, but combining the leaves with urea (10 g/d) markedly increased N retention and is suggested as a cheap and practical way of improving the feed quality for sheep (Habib et al., 2008). Though Indian jujube is readily eaten by goats, its forage generally has a lower nutritive value than other tree forages (Barbind et al., 2006). On the contrary, comparisons with other forages such as water spinach (Ipomoea aquatica) and berseem hay was favourable to Indian jujube leaves (Daovy Kongmanila et al., 2009; Tewatia et al., 2003). When offered with water spinach ad libitum, Indian jujube increased DM intake, apparent digestibility and N retention compared to water spinach alone (Daovy Kongmanila et al., 2009). It has been included in low quality diets for goats at up to 50% of the DM (Myint et al., 2010; Khan et al., 2009). In grazing dairy goats, Indian jujube forage used as a potential replacer for cottonseed cake in a low quality diet for 10 weeks had a positive effect on milk yield. This could be explained by its low rumen degradability due to the presence of tannins and its subsequent relatively high bypass protein content (Khan et al., 2009). The inclusion of Indian jujube forage at 50% of the DM in a sesame oil meal based diet did not decrease overall intake, but all digestibility parameters were significantly reduced and N retention was lower than with leucaena supplementation (Myint et al., 2010). In Laos, Indian jujube offered ad libitum to male goats resulted in lower feed intake, nutrient intake and apparent digestibility compared to erythrina, jackfruit and kapok (Daovy Kongmanila et al., 2008). Rabbits have been used as test animals to study the pharmacological activities of leaves and root extracts from Indian jujube, including their antidiarrhoeal, antihyperglycemic or hypotension effects (Diallo et al., 2004; Dahiru et al., 2006; Koffi et al., 2008; Goyal et al., 2012). As no noxious effects have been reported, Indian jujube appears safe for rabbits. Also, as Indian jujube leaves are eaten by ruminants, it can be assumed that they are a suitable forage for rabbits. However, direct experimentation is recommended before extensive use. Since Indian jujube is included in the list of traditional Indian plants used for human contraception, the use of the plant for feeding breeding rabbits may deserve special attention (Goyal et al., 2012). Blair Rains, A., 1963. Grassland Research in Northern Nigeria. 1952 - 62. Misc. pap., Samaru (Nigeria), No. 1, 69 p.
Piot, J. ; Nebout, J. P. ; Nanot, R. ; Toutain, B., 1980. Utilization of Sahelian woody species by domestic herbivores. Quantitative study in the southern zone of Oursi fen (Upper Volta). Centre Technique Forestier Tropical, Institut d'Elevage et de Medecine Vétérinaire des Pays Tropicaux, 213 pp.